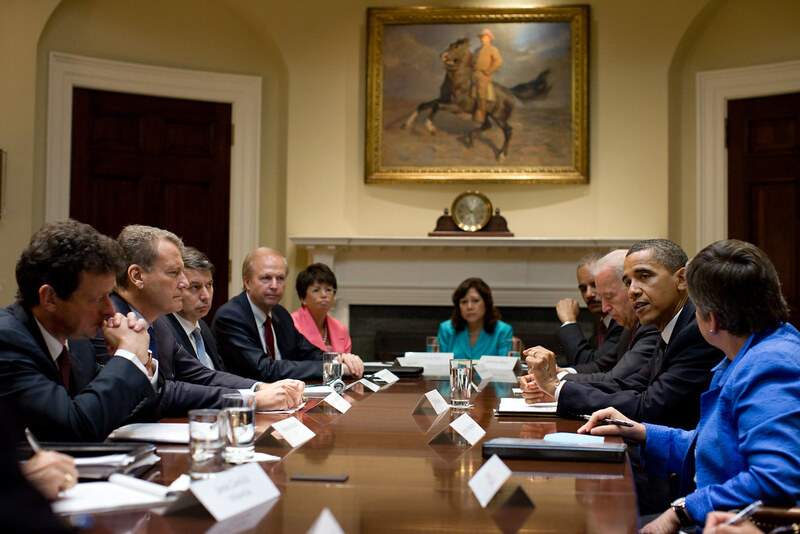 Earlier today President Obama met with BP Chairman Carl-Henric Svanberg and other BP in the Roosevelt Room at the White House. They discussed the ongoing efforts to stop the oil leaking into the Gulf of Mexico and BP’s responsibility not only to pay for the cost of the cleanup of the oil spill, but also to compensate residents and businesses that have suffered financially as a result of the oil spill. This billion will provide substantial assurance that the claims people and businesses have will be honored. It’s also important to emphasize this is not a cap. The people of the Gulf have my commitment that BP will meet its obligations to them. BP has publicly pledged to make good on the claims that it owes to the people in the Gulf, and so the agreement we reached sets up a financial and legal framework to do it. Another important element is that this billion fund will not be controlled by either BP or by the government. It will be put in a escrow account, administered by an impartial, independent third party. So if you or your business has suffered an economic loss as a result of this spill, you’ll be eligible to file a claim for part of this billion. This fund does not supersede either individuals’ rights or states’ rights to present claims in court. BP will also continue to be liable for the environmental disaster it has caused, and we’re going to continue to work to make sure that they address it. BP and the Administration agreed to appoint Ken Feinberg, who administered the claims process for victims of 9/11, to run the independent claims process. Calling this agreement "an important step towards making the people of the Gulf Coast whole again," the President reiterated the importance of keeping the families and businesses of the Gulf Coast, many of whom are still recovering from Hurricanes Katrina and Rita, at the forefront of the oil spill recovery process. During a private conversation with Chairman Svanberg I emphasized to him that for the families that I met with down in the Gulf, for the small business owners, for the fishermen, for the shrimpers, this is not just a matter of dollars and cents; that a lot of these folks don’t have a cushion. They were coming off Rita and Katrina; coming off the worst economy that this country has seen since the Great Depression, and this season was going to be the season where they were going to be bouncing back. Not only that, but this happened, from their perspective, at the worst possible time, because they’re making their entire income for the year in the three or four months during which folks can take their boats out, people are coming down for tourism. And so I emphasized to the chairman that when he’s talking to shareholders, when he is in meetings in his boardroom, to keep in mind those individuals; that they are desperate; that some of them, if they don’t get relief quickly, may lose businesses that have been in their families for two or three generations. And the chairman assured me that he would keep them in mind. That’s going to be the standard by which I measure BP’s responsiveness. I think today was a good start, and it should provide some assurance to some of the small business owners and individuals down in the Gulf who I was visiting with that BP is going to meet its responsibilities. But I indicated to the chairman that, throughout this process, as we work to make sure that the Gulf is made whole once again, that the standard I’m going to be applying is whether or not those individuals I met with, their family members, those communities that are vulnerable, whether they are uppermost in the minds of all concerned. That’s who we’re doing this work for. Learn more about the claims process and escrow account here.